The Organisation of Petroleum Exporting Countries (Opec) may cut crude production when it meets next month to keep the price above $80 a barrel, oil ministry officials from four of the group's nations said. Prices of at least $85 are likely lead to no change in supplies when ministers gather on March 5 in Vienna, said two of the four officials, who asked not to be identified because Opec's deliberations are private. A third said $80 a barrel would be a signal to pump less, and a fourth delegate said $70 would be unacceptable to most of Opec's 13 members. The combination of falling crude prices and the dollar's 12 percent drop in the past year on a trade-weighted basis puts pressure on Opec to reduce supplies as slowing econ-omies in the US and Eur-ope threaten energy demand. Oil fell 30 percent and the group reduced production quotas three times in 2001, the year of the last US recession. "Opec wants to protect $80 a barrel," said Johannes Benigni, a managing director at Vienna-based consultant JBC Energy, who attended the latest Opec meeting when the group left its supply levels unchanged. "I got the clear impression from Opec that that's the number they want to defend," Benigni said. "It wasn't Opec's fault it moved above $80, but now it's there, they justify keeping it." 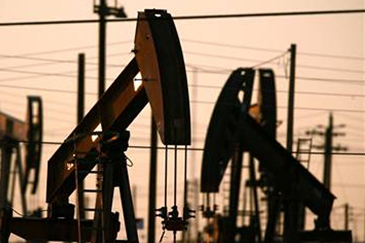 Crude oil prices gained 49 percent in the past year and reached a record $100.09 a barrel on January 3. They dropped 12 percent since then. Saudi Arabian oil minister Ali Al Naimi, who sets policy for Opec's largest producer, declined to comment to reporters on prices or production levels at the last meeting. Al Naimi said only that the outlook for supply and demand is "sound." Opec may maintain current levels when it meets on March 5, "if the market is as it is now," Opec Secretary-General Abdullah Al Badri told reporters on February 5 in London. The group pumped 32.12 million barrels a day last month, according to estimates. "It is not in our interests to see a recession, whether in the US or worldwide," Al Badri said last month in Nicosia. Opec held three meetings in 2007, down from six the previous year. The group is likely to gather more frequently to monitor the US economy, said officials.